Opus Trust Marketing, the company helping clients to communicate with their customers using multi-channel solutions, has rebranded to Opus Trust Communications. Following significant investment and a restructure of the business, the organisation has set the standards to meet with its strategic objectives, adding further innovative products and services that complement and facilitate digital transformation. Taking the opportunity to conduct a thorough review of its market position, working across the energy, water, financial services, telecoms, business services, travel and leisure, construction and the public sector, the company felt that the rebrand would allow it to reinforce its position as a trusted partner for multi-channel customer communication services. The organisation, which for more than 30 years has been responsible for creating and delivering business critical documents for FTSE 100 companies, recognised the need to evolve but to keep the message simple; it will support clients however they choose to communicate with their customers. “We have experienced significant growth in recent years and this has supported the business as we implement new practices and package the solutions that we have for our clients to ensure that they are aware of the benefits that we are able to offer. “Working with some of the UK’s leading brands, we manage business critical communications for our customers. This is a huge responsibility and we want them to know that as the way consumers engage with suppliers continues to change, we are also adapting our service to meet with those complex needs. The brand recently commissioned an independent piece of research, the Hidden Opportunity Report, to focus on how its customers end users prefer to receive their communications. The responses provided consistent evidence that there is no one-size-fits-all and that consumers prefer a selection of methods to suit their needs including traditional post, email and SMS. It also found that consumers value customer correspondence and are embracing new technologies and channels. As such, Opus Trust Communications is advising businesses to act now to prepare for the future and meet these changing expectations as consumers increasingly expect to use online chat functions, portals and apps to communicate with providers. 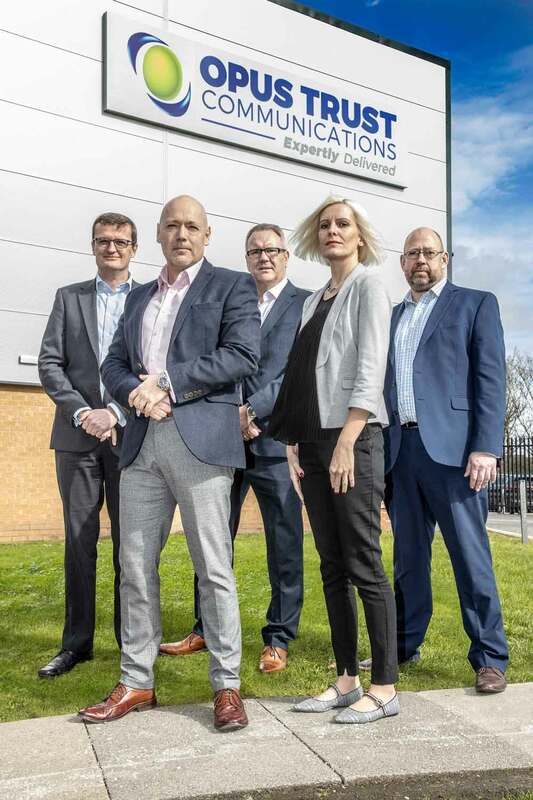 With a history spanning more than 30 years, Opus Trust Communications employs over 140 staff from its head office in Leicester. With many colleagues enjoying a long career with the business, 30 per cent have retained their positions at the company for more than a decade. For more information about Opus Trust Communications please visit www.opustrust.co.uk or call 0116 232 7500.